Progressive metal, with melodic additions, folk movements, restrained keys, and cogent vocal takes, welcome Cathis Ord. And although you’ve heard all of this before (similar to Opeth, Katatonia, etc) this is not a canny replicate. Moreover, an expansion to similar themes and an effort that easily deserves recognition. 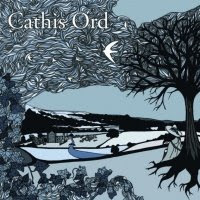 Cathis Ord, is also (surprisingly) an uncharacterised solo project. Containing just the James Russell within its vicinity, he has been able to capture everything commendable in the genre. Here at MMuk, we’re rather humbled by Russell’s latest offering, as a single entity he’s achieved most aesthetics all too many groups merely outcast. There are two tracks on the demo, with the entire disc clocking in at around 22:24. The objectivity upon highlighting this is that for either of the tracks (particularly pertaining to the length of eleven minutes) to hold much water, they must be blessed with rich and compounding song writing. Russell presents excellent song writing, further complex song structure combined with atmosphere dubbed in a wealth of beauty and artistry. He’s certainly synthesised our checklist. Each track has their fair share of acoustic, melodic and metallic doom-esque passages; in addition it’s the way they’ve been moulded which makes Cathis Ord as fresh as it is breath taking. This isn’t exactly an innovator nor does it have to be, though Russell has brought to the fore a formula worthy to any commercial release. And sure, it is a little rough around the edges, with the mix sounding ‘muddy’, production periodically being sparse, and the drum programming staying within their stereotype. Yet these idiosyncrasies fail to mask an albeit, wondrous journey. A simply exceptional contribution.